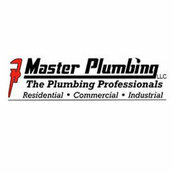 We work with master plumbing on a monthly basis and several projects. They are very professional and the work is top notch quality! I would recommend Master Plumbing for any plumbing issue you have. They are very professional and get things done in a timely manner. Best service ever and best price. I wouldn't go anywhere when in need of plumbing services. A+ quality and service company.